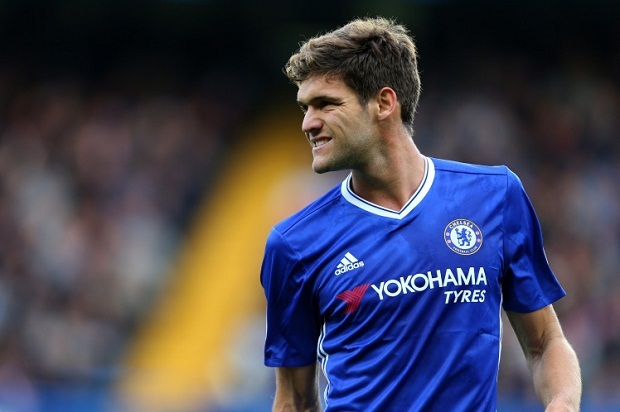 Real Madrid desperate to sign Chelsea footballer Marcos Alonso and preparing to make an offer during the summer transfer window. Los Blancos have problems in the back-line as Marcelo heavily linked with Juventus, Theo Hernandez wants to remain in Real Sociedad and their replacement is necessary. Spain international is the best choice in this situation as he has an impressive campaign and proved his greatness one more time. Santiago Solari ready to pay big money for the player during this summer. Los Blancos tried to sign him during the last summer but the deal failed and defender signed a new contract with the Blues. Marcos joined the London club from Fiorentina in 2016 with a €25m deal. He is one of the best left-backs in Premier League and unchanged figure for the club. In this season, Alonso already played 29 matches, scored one goal and made 5 assists in all tournament. This is an amazing result and he can do much more during this campaign. Spanish footballer is contracted with the English club until 2023 and his release clause is nearly €45m. His price could increase during this season and become much more. The 28-year-old player is a regular member of the national team which is already a big success for the defender. UCL giants will do everything to add him as the Argentine manager wants to improve the defence much more. Real Madrid have good results in La Liga as they are in second place in the table and have a big chance to win the competition.